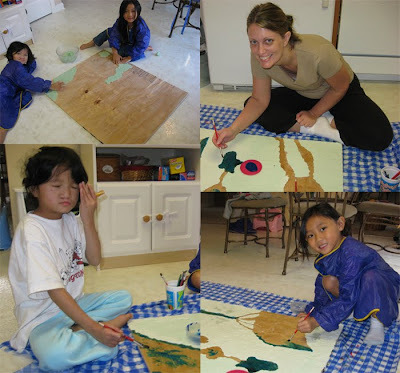 The further we get into our school year, the more we love our curriculum. 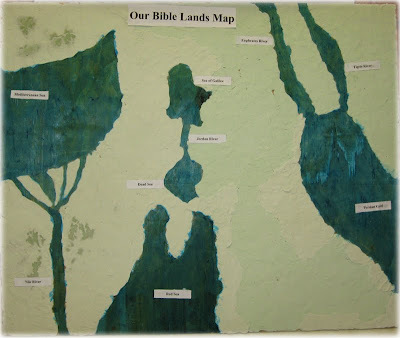 We spent about a week building our Bible Lands map. Autumn was sick today, our last day painting, but she came downstairs for about 5 minutes to participate and then asked for a bubble bath. Just look at the poor thing. She is so pale. But the map was just too much fun for her to pass up.